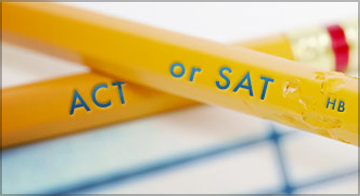 One of the questions we get asked most often by students is this: Should I take the SAT exam, or the ACT exam? And our answer is always the same. You should take both. But if that's the case, how are you supposed to actually study for these exams? Should you take one first and then the other, or do them both at the same time? If these questions sound familiar, then we've got some good news for you. Below is a training video where Mark gives a step-by-step guide to acing both of these exams. There are no shortcuts — you need to put in the study time — but the method in this video will certainly help. We'd love to get your thoughts in the comments section below. Does this look like a good way to master the SAT and ACT exams?